13 things that prove Indian Mythological Literature is full of Scientific Innnovations. The list here presents 13 greatest ever inventions of ancient Indian science. 1. They knew the existence of solar system long before. 2. They Theorized gravity way before the western world. 3. They knew the speed of light way before the rest of the world knew it. Also read: World’s Oldest Active Aircraft Carrier INS Viraat all set to be a Museum in Andhra Pradesh. 4. They knew the science behind eclipses when the rest of the world was scared thinking eclipses are caused by some sort of black magic. 5. They accurately predicted the distance between Sun and Earth. 1 Sahsra Yuga = 12000000 years. So, Yug Sahsra Yojan(the first three words) would mean 12000*12000000*8 = 96000000 miles. 6. They measured the circumference of the Earth. 7. They estimated the Length of an Year. Surya Sidhhanta speaks of 4 ways to measure the length of an year namely “Nakshatra“, “Savana“, “Lunar” and “Saura“, of these The Saura method accurately estimates the length of year to be 365 days, 6 hours 12 mins and 30 seconds. If you are still wondering how they could do it go and visit temples at Konark or Humpi where you will find the incredibly complex and technically correct architecture systems of the temples that use the sunlight to measure the length of the day and year. 8. They deduced Pi value. Aryabhata worked on the approximation of value of pi ( ) and came to the conclusion that is irrational and is approximately 3.1416 in 499 CE when he was 23 years old. Although the discovery of Earth being round is credited to Greek astronomers . Interestingly, Indian astronomers had already claimed that Sun is a star and that earth is spherical long before the Greeks. It is documented that various attempts had been made to measure the circumference of earth during the Vedic periods. Aryabhatta deduced a formulation which proves that the Earth is rotating on an axis. By estimating the value of pi to be 3.1416 he deduced the circumference of earth to be 39736 Kilometers which is only 100 kilometers below its true value. 10. They build the worlds first underground drainage system. 11. They theorized and actually implemented the concept of surgical procedures using surgical tools centuries before the rest of the world. 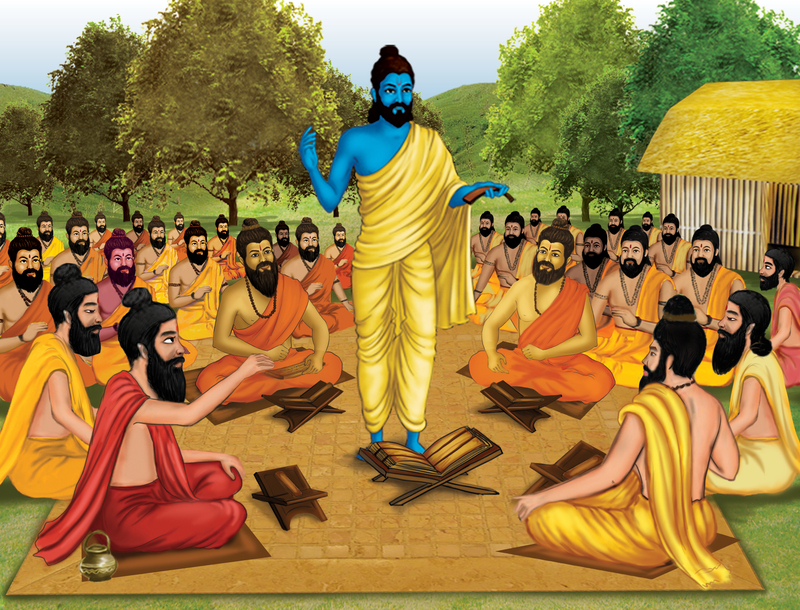 The Sushruta Samhita written by Sushruta is the earliest medical encyclopedia known to world being written during 1200BC containing 184 chapters contains descriptions of 1,120 illnesses, 700 medicinal plants, 64 preparations from mineral sources and 57 preparations based on animal sources. You name a disease and it has a chapter on it. 12. They theorized the concept of cloning , test tube babies and surrogate mothers. In other words, they not only had the concept of cloning, test-tube babies and embryo spliting but also had the dream to grow human fetuses outside the body of a woman something that is not known to modern science very recently. 13. Nikola tesla took inspiration from Swamy vivenakanda and Indian vedas for his world acclaimed work. Also read: Headline Makers and the Human Right activists Magically Disappear when our Soldiers get Killed?! They even had the concept of sustainable energy, projectile science, and many others like Thrust, momentum, Thermodynamics , Astrophysics etc to name a few.